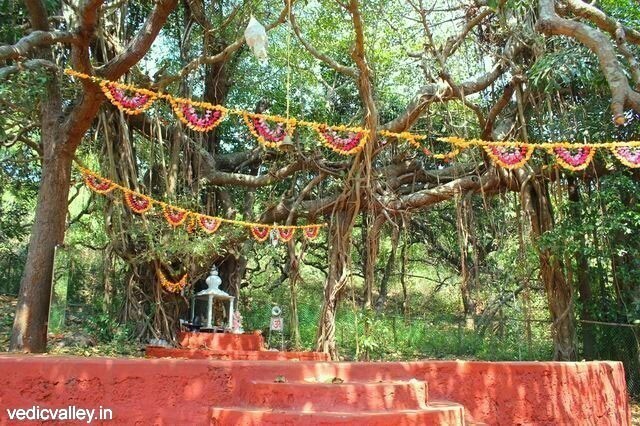 Our Banyan tree the heart of Vedic Valley! 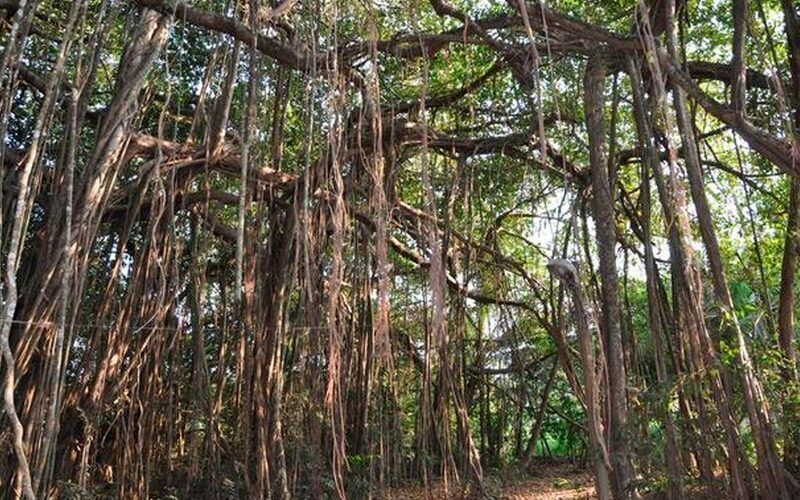 In Hinduism the Banyan is called “Kalpa Vriksha” meaning “wish fulfilling tree“. 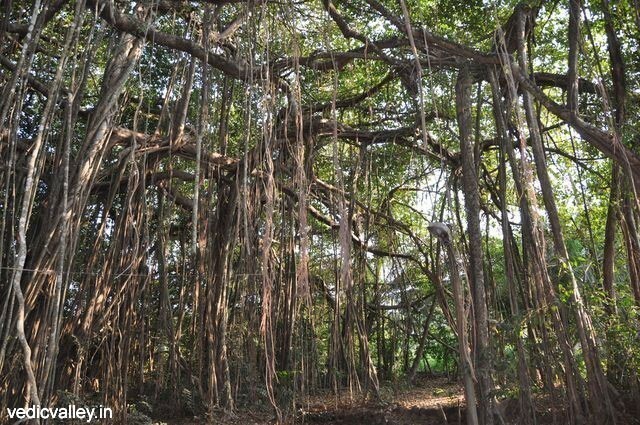 It is thought of as perfectly symbolizing eternal life due its unending expansions. 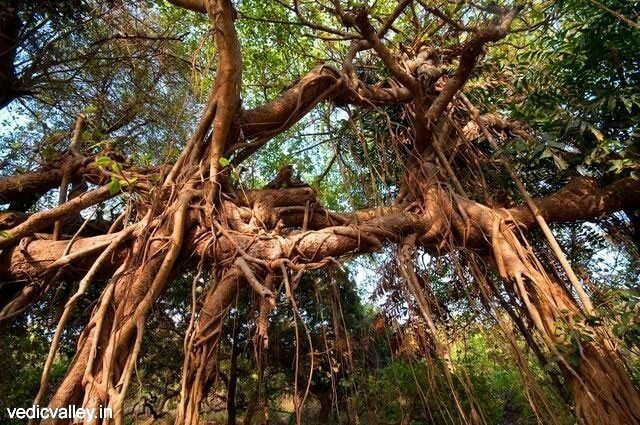 Buddha achieved enlightenment in Bodhgaya while meditating under a Banyan called “the Bodhi Tree“. 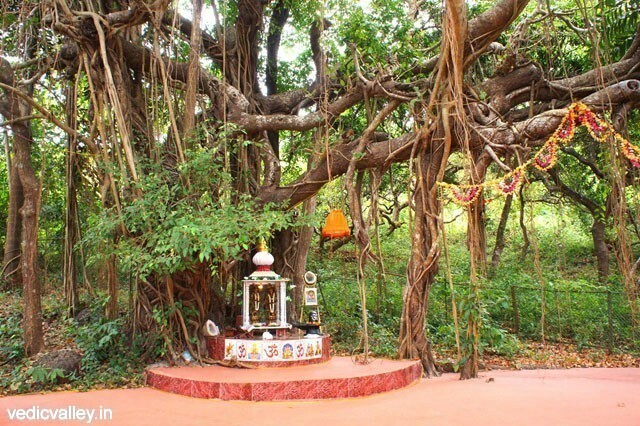 In the vivifying shadow of Banyan tree we perform traditional Vedic rituals.